What Exactly is the U.S. Flag Code? This past Friday, Nov. 11 marked Veterans’ Day, and Niles West honored the occasion with a customary flag-raising ceremony that, among other things, involved raising the flag to full-staff, then to half-staff. This gesture has widespread meaning, and the flag customs for similar holidays and occasions in the U.S. are universal. The source of these customary practices is the United States Flag Code, which is outlined in Title 4, Chapter 1 of the United States Code, the official compilation of all U.S. federal laws. Before 1923, the U.S. did not have official rules or regulations for how to handle, display, and honor the American flag. 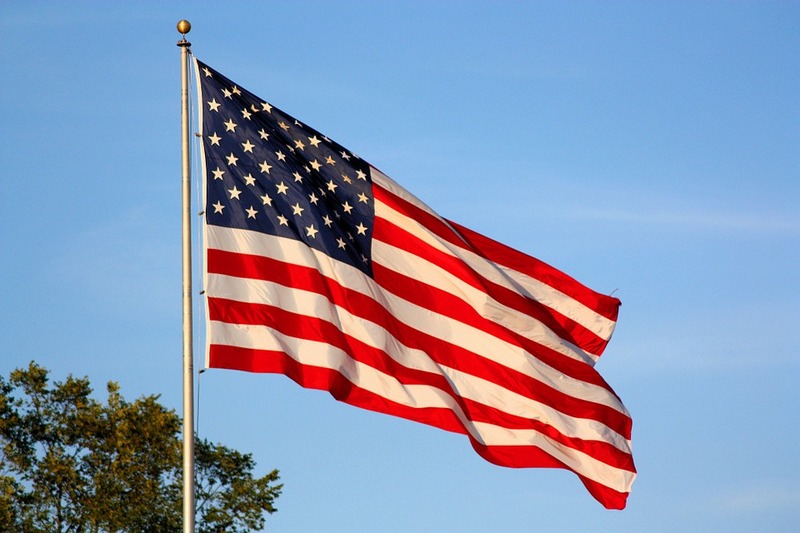 On June 14 of that year, Flag Day, over 60 organizations came together under the supervision of an organization called the American Legion to create the National Flag Code to determine and solidify these rules. The American Legion was created by Congress in 1919 to serve as a ‘patriotic veterans organization.’ According to their mission statement, the American Legion is “the nation’s largest wartime veterans service organization, committed to mentoring youth and sponsorship of wholesome programs in our communities, advocating patriotism and honor, promoting strong national security, and continued devotion to our fellow service members and veterans.” They oversaw the creation of the first codified set of rules pertaining to the American flag itself. According to the American Legion, the U.S. Flag Code is simply a set of guidelines, not actively enforced law. Burning the American flag used to be a chargeable offense, but this was overturned in the 1990 Supreme Court case United States v. Eichman, which deemed it an unconstitutional obstruction of free speech. The actual text of the U.S. flag code includes the Pledge of Allegiance, rules about how to display the flag when other flags are present, and when it should be flown at half-staff, among many other specifications about how to show respect to the American flag. Although flag etiquette is closely followed when it comes to federal ceremonies, such as the burial of officials or on federal holidays, the guidelines for domestic displays of the flag are often unknowingly broken. It’s possible that the main reason for this is simply ignorance of the actual guidelines. Some elements of the flag code appear overly specific, and sometimes borderline absurd, leading to some misconceptions about what the flag code actually says. One idea people commonly cite about the U.S. Flag Code is that a flag that touches the ground must be burned. In reality, though, this is a myth. According to the U.S. Flag Code, “The flag should never touch anything beneath it, such as the ground, the floor, water, or merchandise.” But if this happens, the flag should simply be raised back to a dignified position again. The importance of flag code has been brought into the limelight recently in a variety of political clashes, most prevalent of which is the decision to kneel during the national anthem. Since the U.S. flag code is not enforced law, heated debate has arisen that has raised questions about just how important the code is, which of these rules should be adhered to, and what exactly constitutes disrespect to the U.S. flag. Here at West, the use of U.S. flag is prevalent: dressing up in red, white and blue is a common day during Spirit Week, and the national anthem is always present at assemblies and sporting events. Many West students have used these instances as a platform to share their political beliefs and patriotism, whether that means kneeling for the anthem or dressing head-to-toe in American flag paraphernalia. To some, inappropriate depictions of the U.S. flag code are more disrespectful than peaceful protest, and to others, the guidelines are simply too general to tell. For social studies teacher Matthew Wiemer, the flag code is something that many people are ambivalent about. Junior Bajeel Syeda believes that the formalities of the code are subject to citizens’ discretion, as long as the behavior isn’t harmful or overtly disrespectful . The full text of the U.S. Flag Code can be viewed here.